"Everything it was very nice, staff was polite and helpful." Have a question for The Aquincum Hotel Budapest? "The spa pools are awesome and it makes visiting Budapest all the more brilliant." "This hotel has thermal pools, which were incredible, great way to unwind." 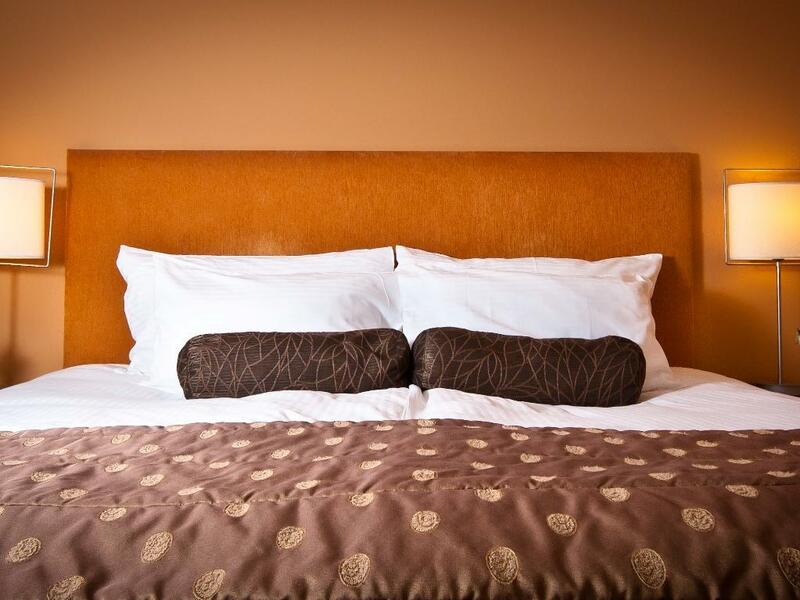 "Fantastic, good location and gd bath"
"Really loved our time at this hotel." Whether you're a tourist or traveling on business, The Aquincum Hotel Budapest is a great choice for accommodation when visiting Budapest. The property is located in a prime area along side the River Danube, on the Buda side of magnificent city and across the river from the serene Margaret Island, with its famous thermal waters. The property is surrounded by medieval streets, wine bars, restaurants and its own green park. With its convenient location, the property offers easy access to the city's must-see tourist destination. 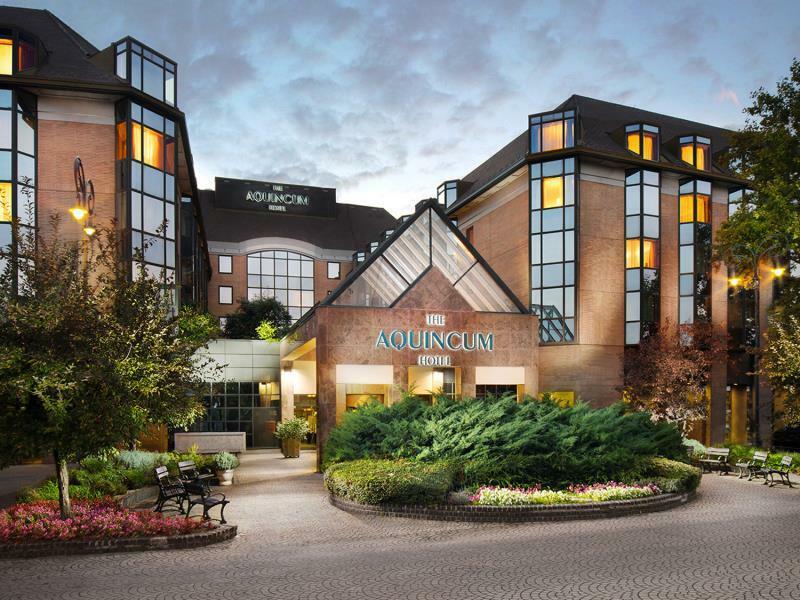 With panoramic views of the Buda hills, The Aquincum Hotel Budapest offers 310 guest rooms, a lively restaurant and bar, 14 versatile meeting rooms and a spa. The property provides a relaxed atmosphere for leisure visitors and a comfortable business environment for corporate guests. All bedrooms are air conditioned and come with free wired and wireless internet access and bathrobes in each bathroom. The Aronia Wellness Center and Spa offers relaxation in thermal pools and a menu of unique treatments. The spa provides facilities such as an indoor pool, two thermal pool, a hot tub, saunas and a steam bath. Guests can also get active in the fitness room. For those that wish to dine in the hotel, the Ambrosia restaurant offers Hungarian and international cuisine. In addition, the River Bar offers a fantastic atmosphere and incredible discounts on early evening drinks. Conference guests can make us the state of the art equipment and take advantages of the support team to make every event run smoothly. The property is also happy to arrange complimentary transport into the city center and back upon request. 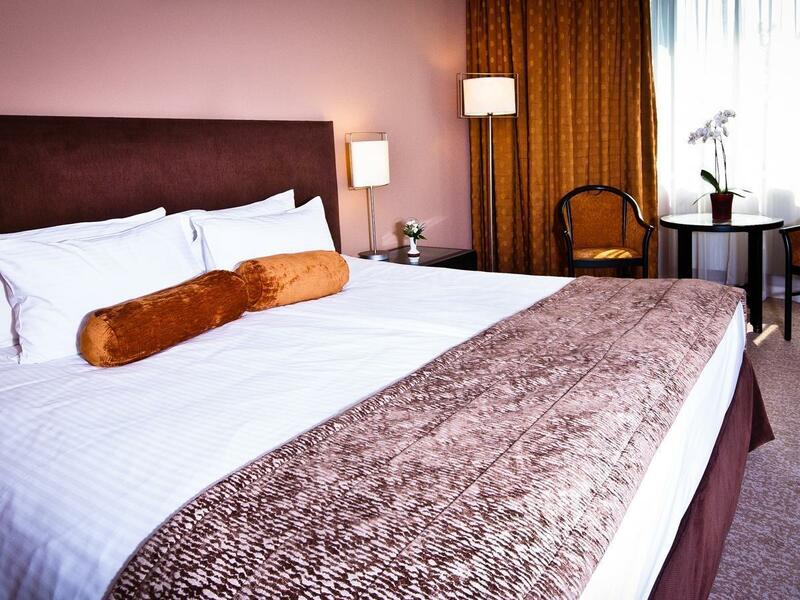 Whatever your purpose of visit, The Aquincum Hotel Budapest is an excellent choice for your stay in Budapest. Please note that upon arrival the hotel may pre-authorize guests' credit cards against any extra consumption. The amount will be refunded if no extra consumption occurs. 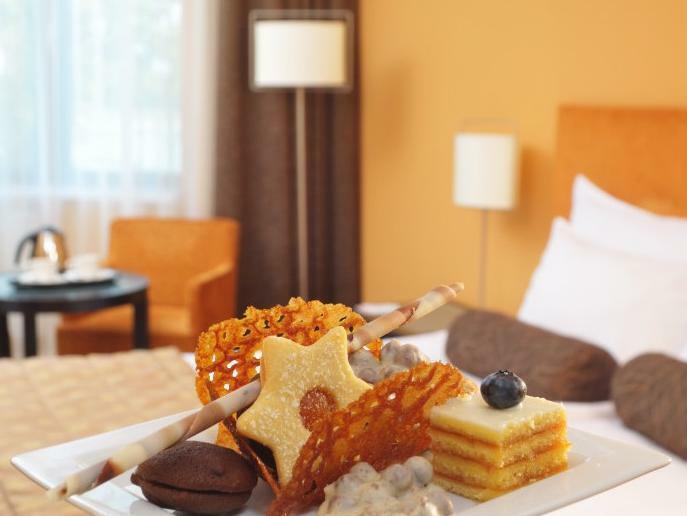 There is a fee of EUR 7 for the use of spa facilities for guests booking the Superior room without breakfast. This hotel has thermal pools, which were incredible, great way to unwind. The hallways are a bit old, stained carpets etc, but the staff were friendly, the spa was amazing, we stayed here after Sziget and this was absolute heaven after a week of camping. Would stay here again next year. nice location, bueatiful city, worth to have a staying. Stayed here and extended our stay. Really loved our time at this hotel. The staff couldn't have done enough to ensure our stay was comfortable and I recommend you try out some of the spa specials. The spa pools are awesome and it makes visiting Budapest all the more brilliant. The food in the restaurant leaves a little to be desired, however when we had room service this was of a far better quality. When you get used to the clipped tone of the Hungarians you will love this hotel, enjoy! Danube river is directly in front, tram station is beside it, good location if you like to explore Budapest on foot, breakfast is good, the room (bed, bathroom, closet, mini bar etc) is very comfortable and has most of what you need, staff (i.e. porter, receptionist, concierge) was very friendly and helpful (though the waiters were a bit rude). Aquincum is supposedly a four star hotel. I can't really compare from other four stars, but I was fairly satisfied and comfortable with my 2-day stay. The beds were comfortable, breakfast was good (do not drink the juice, whatever they put in them..it tastes ew). The room was complete enough for me, the bathroom was clean and neat though there was no toothbrush kit but that's not really a problem. There is free wi-fi, free use of the sauna and the pool--they have a spa with massage sessions too (have to reserve). Do not expect to have the best scenery outside though as the hotel is literally beside the main highways but noise is not a problem at all. There are no shopping malls beside or near the hotel or even sights, but like I said, it is an easy walk. Westend mall (buggest mall in Budapest) is how many tram stops away (tram station is literally beside the hotel). how a stay should be! I arrived at night but my Roommate left the 2nd key at the reception, but the very friendly and helpfull staff were already expecting me and told me where could I find the nearest ATM when i left for business. The personnel is very kind and helpful. The room was well equipped with all needed facilities. It was kept clean during my stay.The Internet was not working very well, very often it was on/off which is not very convenient if you are on a business trip. Comfortable hotel, nice view over the river, close to the public transport (local train, trams), good breakfast. Although a doublebed was requested, we were given a twin. However, the room was changed without any major problems. Nice and comfortable hotel; extensive spa and pool facilities with inexpensive treatments. Hotel is located outside of the city centre but close to public transport. The area is safe and there are several inexpensive and good restaurants nearby (although the choice is limited). The breakfast is very good, a good variety of pastries, fruits, vegetables, hams etc., including local produce. We were very satisfied and would come back with pleasure. The parking system is too disturbing. Until the last day I understand how it work. Parking too expensive for that location. Everything is good but just the parking system is very disturbing and too expensive at tat location. Information about the availability of the hotel facilities is untrue on the Agoda’s site, e.g.one has to pay every time when visiting the fitness center, even the swimming pools. The room furniture and bath-room facilities have been rather old-fashioned and shabby. There were black spots on the bed linen on the very first day, and the linen was changed only once during the 10-day stay and literally after the demand. There is available an instant coffee with a disgusting smell of chemicals at the quite expensive breakfast (3540 HUF/12 EUR; natural coffee is offered only for additional payment (690 HUF). All the aforementioned features correspond to the level of 3-star hotel. Some of the staff was little bit arrogant. Also restaurant is very bad, worst I have eaten almost anywhere. Totally overpriced and food does not taste anything. I would not eat in the restaurant. Hotel is very nice, rooms are great and they have a lovely little spa. I would use this hotel for this price again. Excellent rooms, beautiful hotel, helpful staff with excellent English, food very good, excellent facilities. Little bit expensive (what good hotels aren't though), a fair distance from centre of Budapest, not much going on roundabouts. We had a lovely couple of days exploring Budapest, after our sons wedding. The hotel was excellent, the rooms spacious and comfortable, the food was very good in the restaurant, and was suitable for all of our group from 1 year old to 58 yar old. I would definitely recommend Budapest, and this hotel without hesitation. Everything it was very nice, staff was polite and helpful. Nice place!